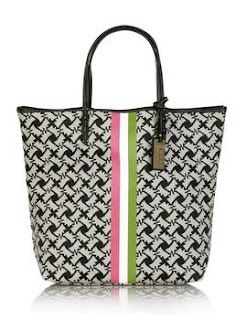 Juicy Couture has a "Premier Canvas Shopper" that is fairly chic. I normally wouldn't pair pink, green and white stripes with a gray and black canvas print, but it seems to work perfectly for this shopper bag. This bag is available on net-a-porter.com. Price is $225. Elle's October Cover Photos of J. Lo! I know that the November issue of Elle will be out very soon, if not already. But I still feel the need to display the photos of the October cover girl Jennifer Lopez, being featured with some of the industries best designers while wearing their clothing. Styled by Joe Zee, such a GENIUS! Buy the issue if you can, it is a collector's item! 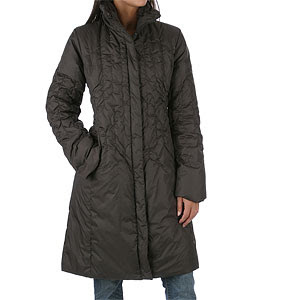 Nine West - A Down Coat for the Ladies! St. John's Apparel (in a new format) will be gracing the Saks, Nordstrom, Bloomingdale's and Neiman Marcus shelves (in November) with an apparel line called SoCa, that will attract the attention of the consumer who adores the St. John sophistication and classiness, but prefers a lower price point with a more youthful flair. Click here for more information. There will be a full-store dedicated to this product, at South Coast Plaza in Irvine, CA. Plan a trip with your dames to visit this plaza around the Thanksgiving to Chirstmas holiday! South Coast Plaza is to die for! Believe me! 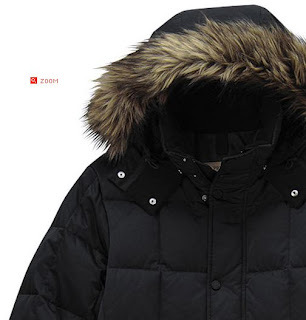 Uniqlo produces fashionable, trendy and well made apparel products, every season. Fall/Winter 2008 continues this glorious trend with offerings ranging from outerwear to specially designed tees. I am featuring an ESSENTIAL piece from the brand, for your fall/winter wardrobe. A black down filled jacket including hood trimming. Available in sizes S - XL. Price - 69.99 GBP / $129.80 USD Link here. Available in New York, UK, France, China, Hong Kong, Japan and Korea. Store Locater link here. 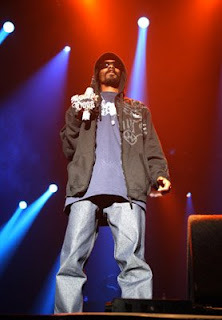 Snoop, had a concert in Amsterdam on Sunday, September 22, 2008. 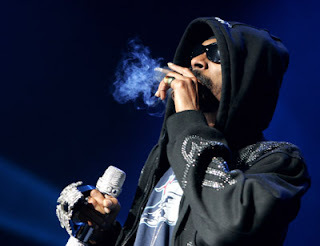 If you are not aware of the fact that Amsterdam has laws that allow smoking of (eh em) smoke.....now you do. 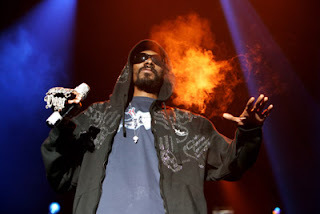 Snoop is one of my personal favorites and is making sure that he follows the law accordingly. He has to stay within the confines of ALL of Amsterdam laws. 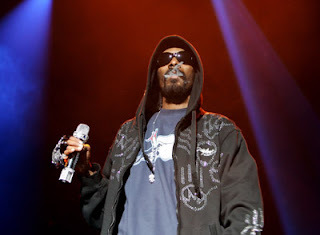 Snoop is wearing a customized Miskeen hoodie sweater, that looks pretty nice. I wonder can they make one of those for my client? 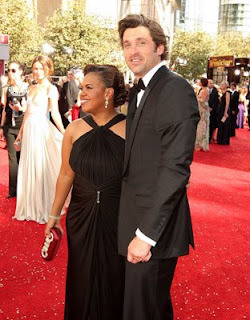 Photos courtesy of wireimage.com. I have some shots of Blake Lively, "Serena" on set shooting a new Gossip Girl episode. She is wearing one heck of a mini dress - well could be a skirt and a top (from examining other pics), which is reminiscent of young NYC glamour. The shrug/cropped jacket that Blake is wearing is made of very soft, high quality cotton, detailed with the military style shoulder straps, accentuated with a long belt for femininity. 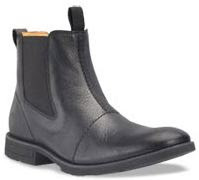 I have attached some pictures of bootie options that you may want to purchase to give yourself the Serena look. And of course, she is carrying the Fall 2008 Valentino Garavini "Petale" Bay Bag in Beige. Price - $2495.00. Available at a Nordstrom's near you. Thanks Katherine/Catherine!! (sp?) GGirl photos courtesy of wireimage.com. 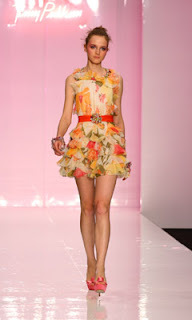 Jenny Packham, presented some colorful, flirty, lightweight Spring/Summer 2009 evening frocks during London Fashion Week. Jenny Packham is world-renowned for evening wear and her bridal dress exqui'site. 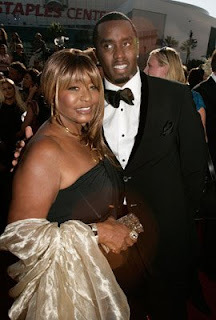 She has served clients such as: Mary J. Blige, Eva Longoria, Beyonce, Alicia Keys, Keira Knightley and many others. Some of JP's styles can be shopped at this link. Price points are ranging from $2500 and up. See below, to check some of her Spring/Summer 2009 Collection and don't forget to view her website. Oversized silk shirt - Buy or Deny? Are you feeling the Gestuz over-sized silk shirt? Voluminous, blouson sleeves and fish tail hem. Comes in black and white and is 100% silk. Cant you imagine almost 4 different ways to wear this shirt? Price - 50 GBP / $91.42 Available on asos.com. 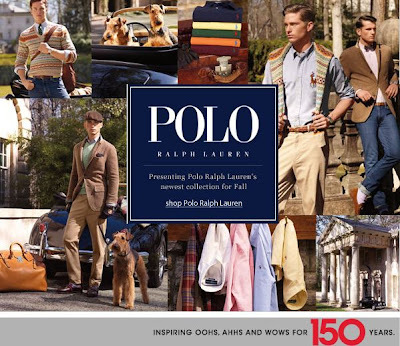 Ralph Lauren's Fall 2008 Collection: NOW at Macys!! Ralph Lauren has presented a Fall Collection that inspires, attendance to Lacrosse games, horseback rides and upper east side family oriented outings. For the Macy's consumer which will be in the mid to high price point range has now welcomed the Fall Collection onto their shelves. Visit, the Macy's website to view the full range of offerings that can be purchased. 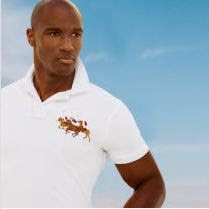 Don't forget to visit Ralph Lauren.com to see the entire Fall 2008 Ralph Lauren collection (including Black Label, Purple Label & more) that is available via the RL website and offers classic, crisp, trendsetting, extraordinary fashion selections. 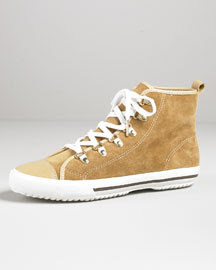 Michael Kors, hit a home-run with this laid back design of a high top sneaker. All camel suede, with tan matching stitching. 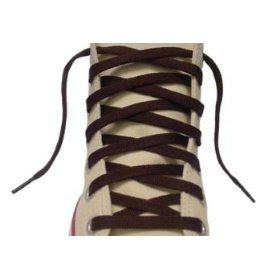 Comes with white shoe laces, but how about changing them and alternating between two sets of laces? 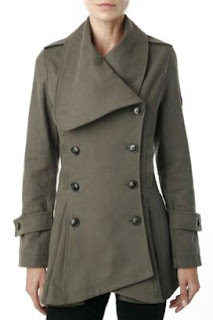 Price - $109.00 Available on Michaelkors.com. Click HERE to read my previous posts about William Rast's brand. Go to WilliamRast.com to view all of the trailers and segments. Timberland is a well known, universally acclaimed brand and as a company always knows, just what to do, to keep their brand alive year after year. For Fall 2008, Timberland has expanded their shoe brand by offering types of shoes that not only fit into the Timberland boot era but also the casual dress shoe scene. 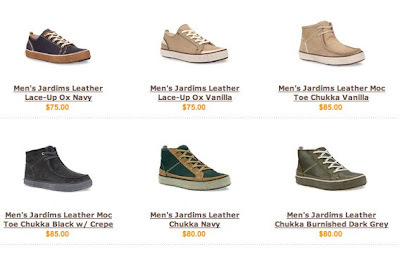 Take a look at these shoes below and visit Timberland.com to purchase. Click the image below to be taken to the Timberland.com new arrival section. Price Points $75 - $125. J. Crew, I SO LOVE YOU!!! Alice + Olivia Leather Mini Dress!!!! Guys: Take advantage of this SALE! Cassie in the Creme Givenchy Gladiator Boot! Eli and Tom - Roc"k" Boys into fashion?